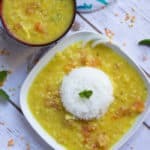 Every family has their distinct and unique biryani recipes, and today I am going to share our family version – It’s the simple vegetable biryani made in the stove-top pressure cooker with freshly ground coconut paste and fried bread. 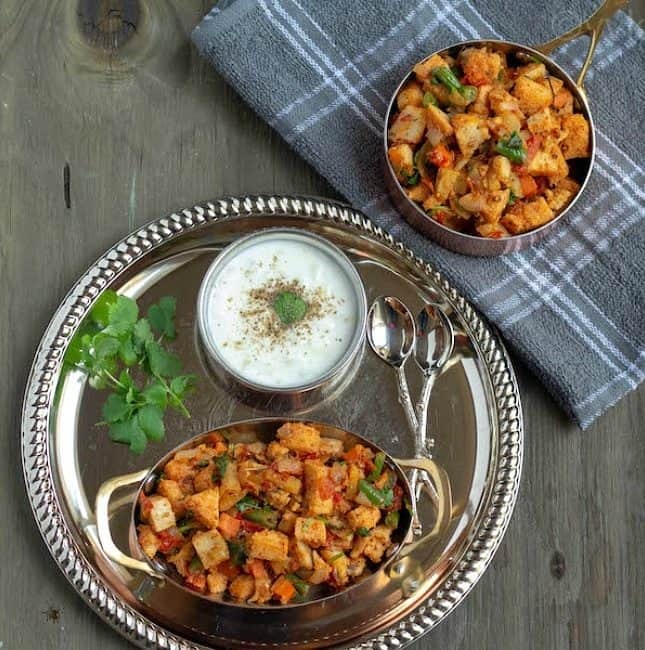 Check out this delicious recipe with step-wise pictures. 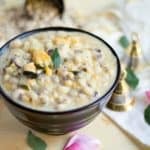 Today I am going to share a delectable vegetarian biryani with the goodness of coconut oil and coconut milk from God’s own country – Thalassery, Kerala. 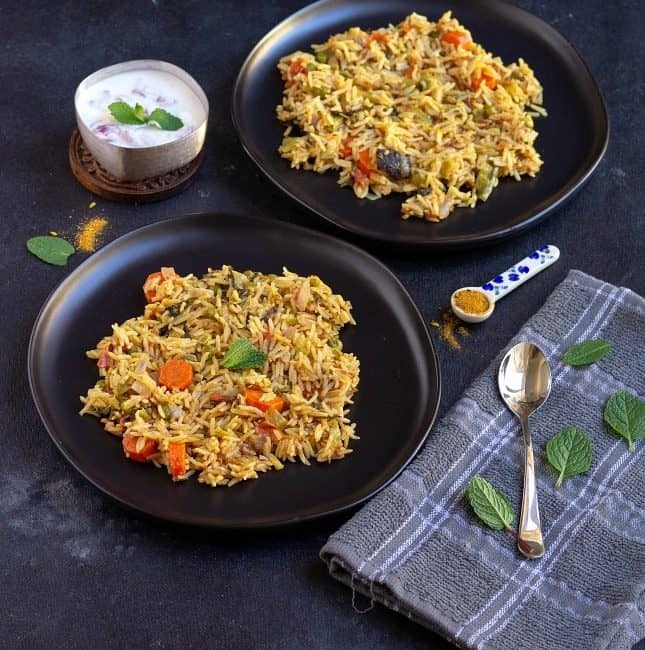 Check out the delicious Malabar biryani or the Thalassery Veg biryani recipe with vegetables made in the pressure cooker. 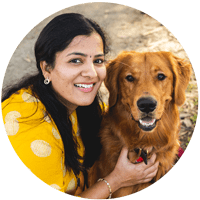 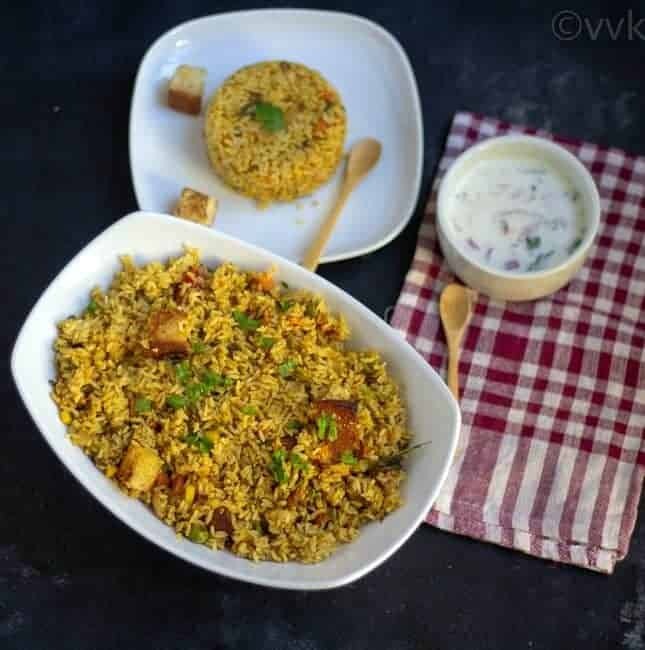 Today I am going to share another famous biryani recipe from the Palakkad area – it is the Rawther biryani, of course, the vegetarian version made in the pressure cooker. 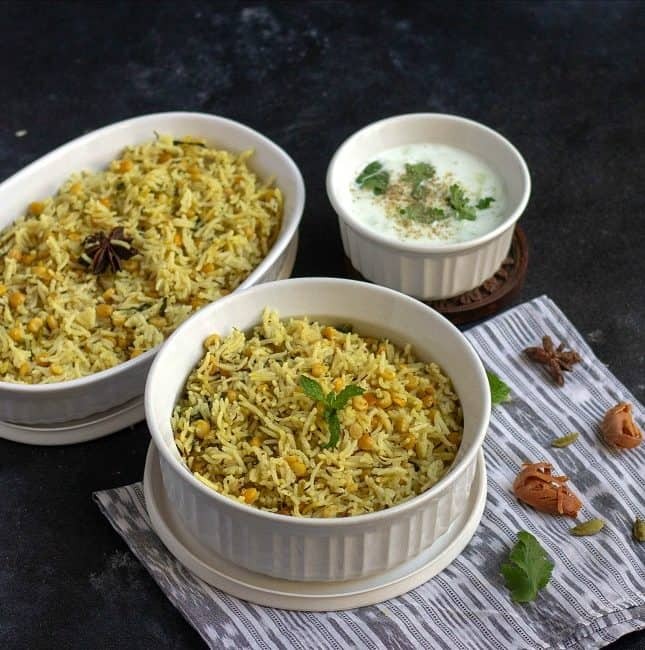 Check out the lip-smacking Rawther biryani recipe made with simple ingredients. 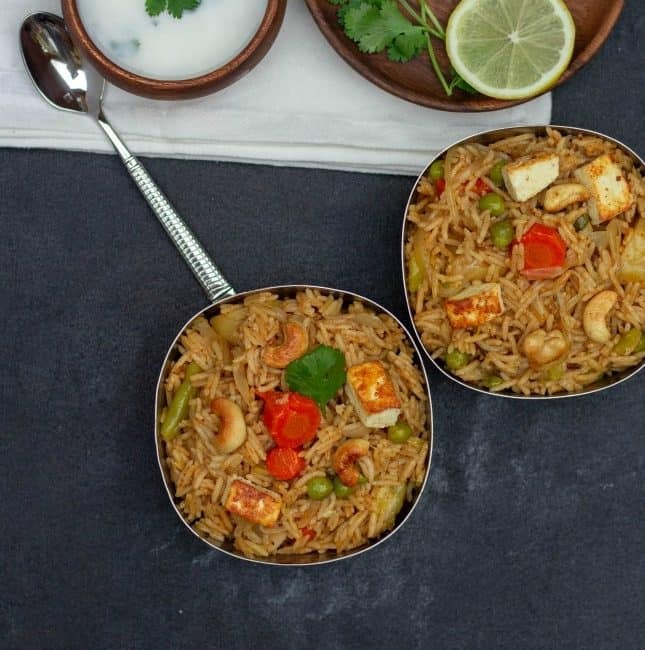 Today I am going to share a rich and creamy pressure cooker biryani made with the delicious paneer makhani or the paneer butter masala sauce with the mild flavor of dried fenugreek leaves. 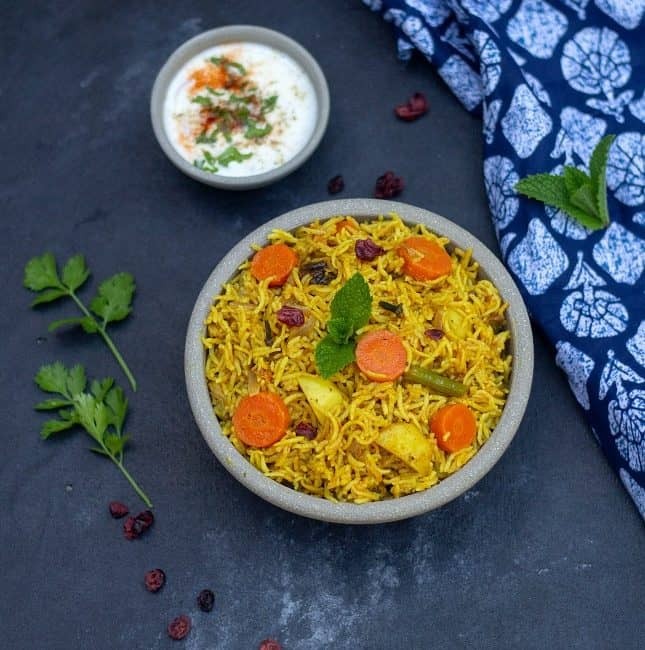 Resisting this decadent biryani with just one serving is hard. 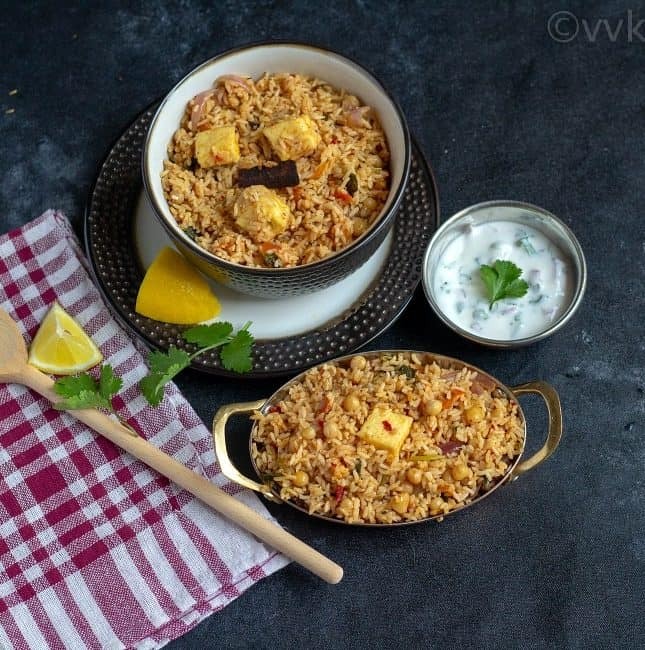 Check out how I made this delicious paneer makhani biryani with step-wise pictures. 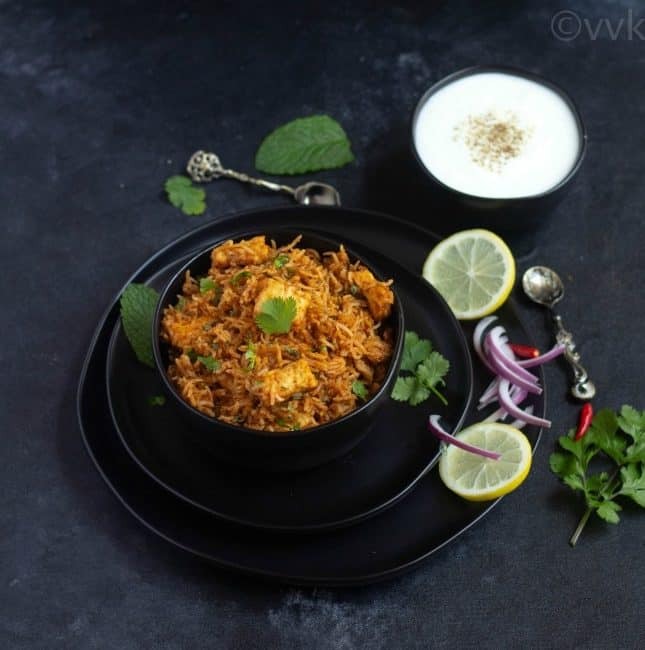 Onion Biryani – A simple biryani loaded with onions, shallots and with a subtle flavor of coconut made in the pressure cooker. 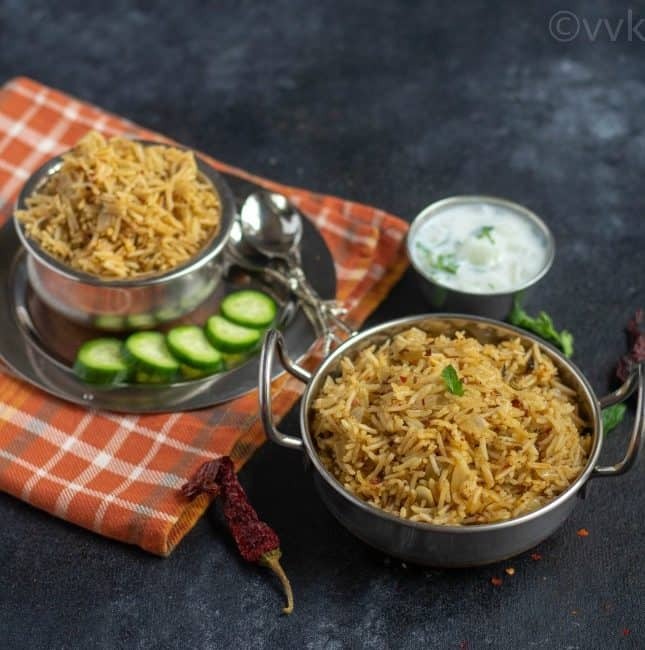 Check out the onion biryani recipe with step-wise pictures. 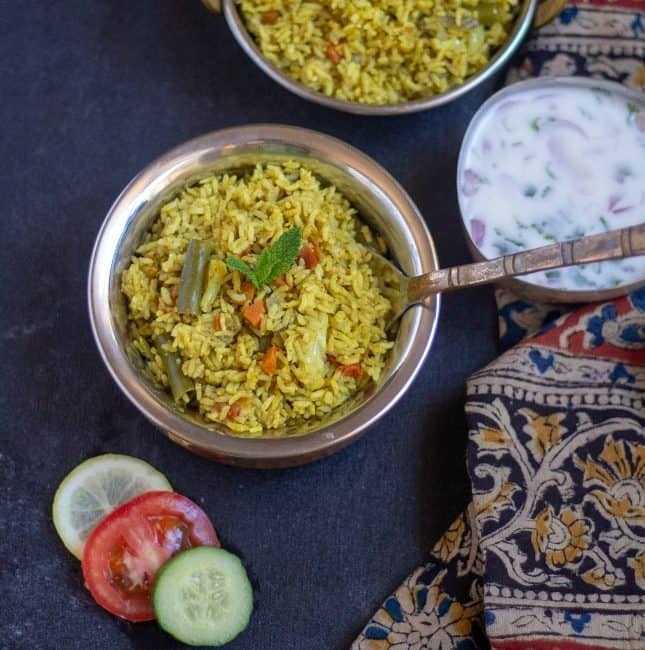 Gongura Pickle Pulav – A tangy, spicy and lip-smackingly delicious pulav with gongura pickle made in Instant Pot. 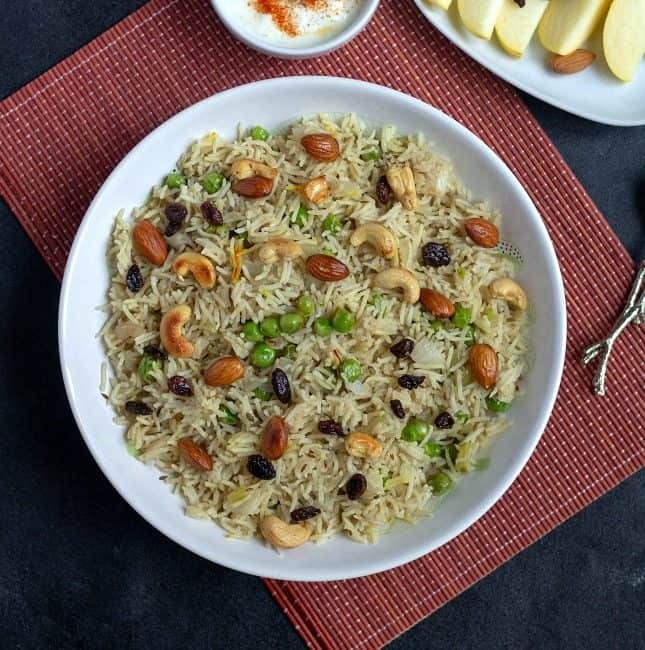 Check out yet another easy pulav recipe with detailed step-wise pictures. 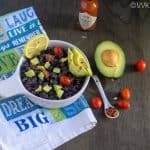 Are you looking for a quick lunch or dinner recipe? 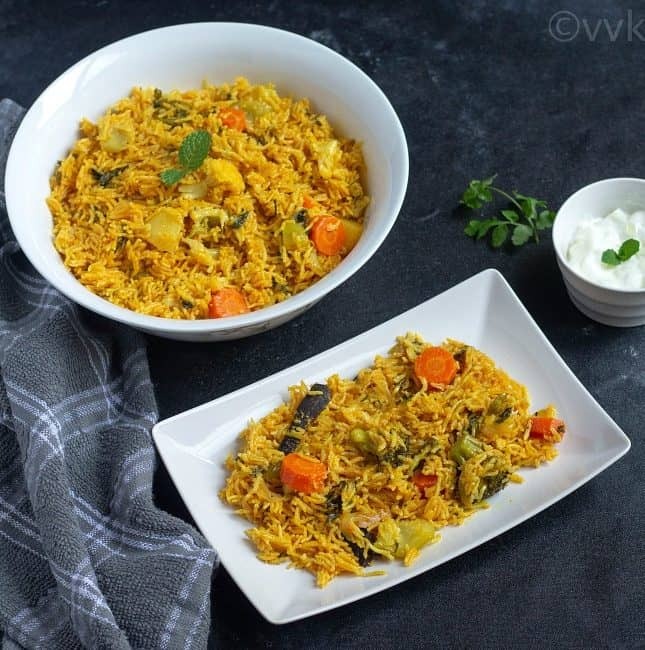 Here is a flavorful pulav or pulao with fresh fenugreek leaves made in Instant Pot! 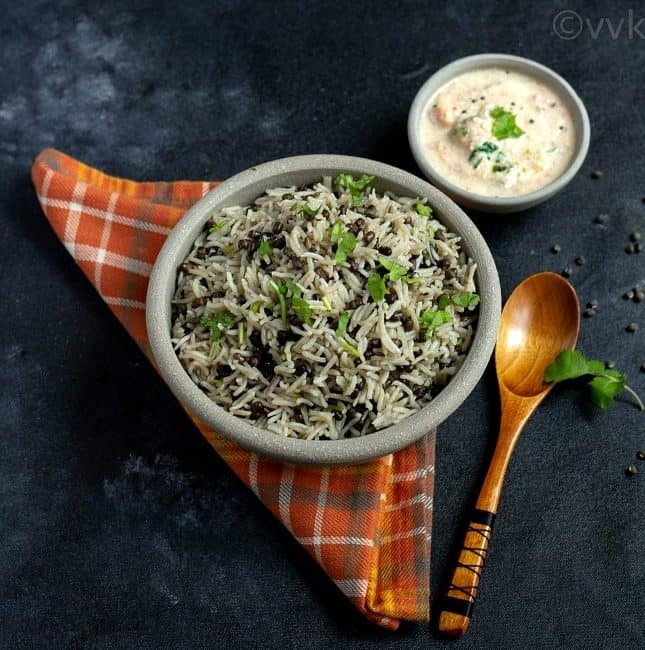 Check out the detailed methi pulav recipe with step-wise pictures below. 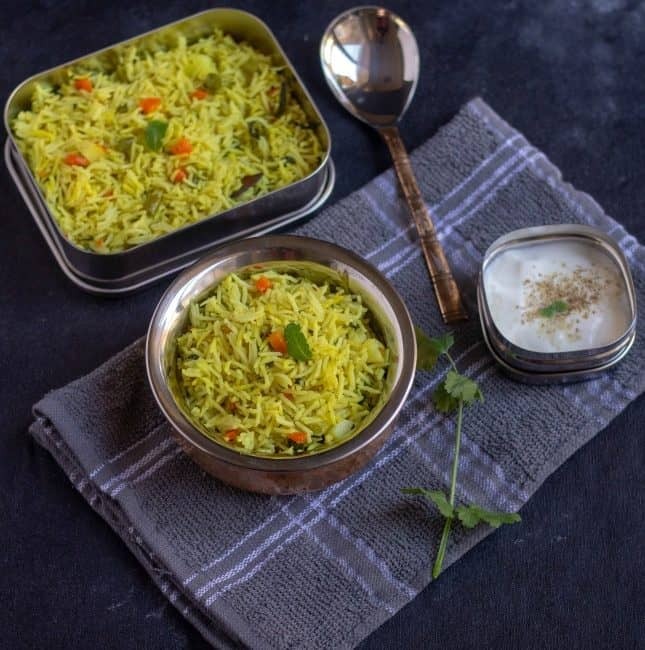 Delhi Veg Biryani – The vegetarian version of the famous degi biryani with vegetables and sela basmati rice from the capital city of India – Delhi. 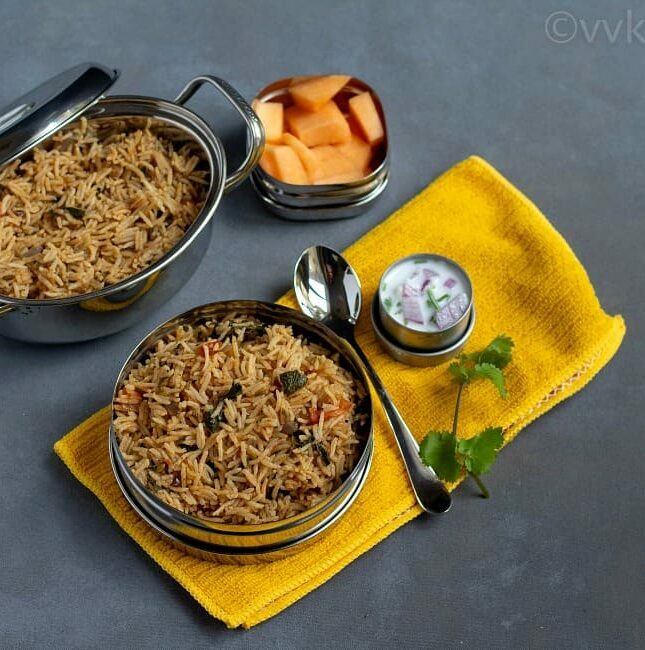 Another interesting biryani recipe made in stove-top pressure cooker. 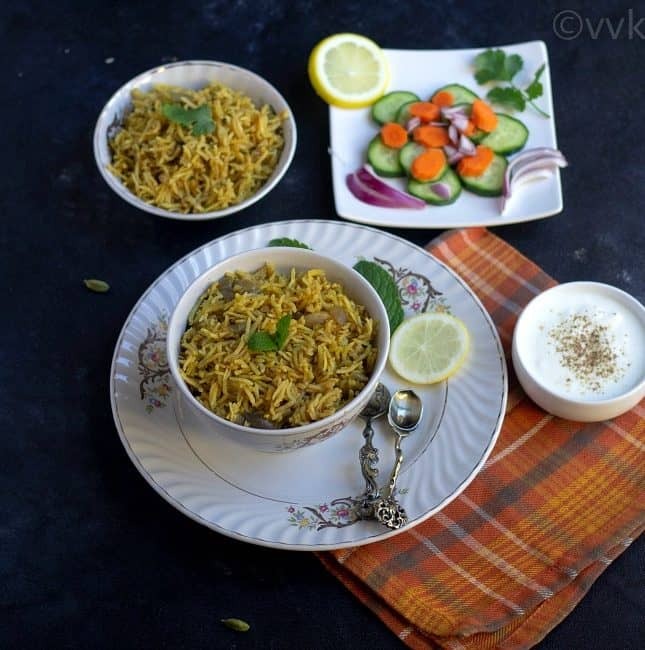 Today I am going to share a lip-smacking and a fragrant Calcutta veg biryani with fresh ground biryani masala. 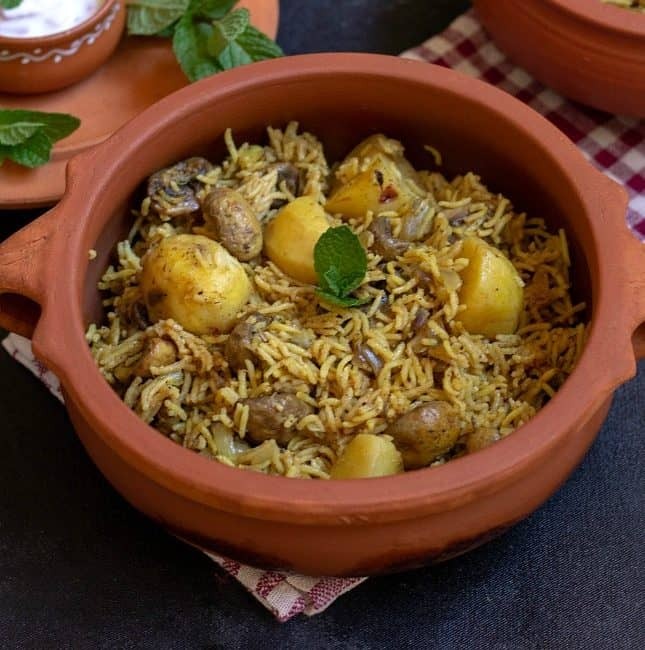 Loaded with potatoes and mushrooms, you can make this biryani quickly in Instant Pot. 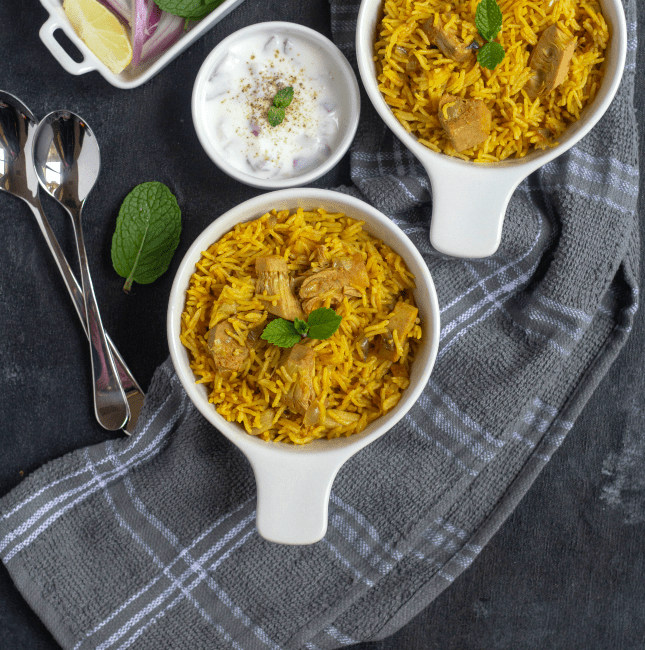 Check out how to make the Calcutta biryani masala and the biryani with detailed step-wise pictures. 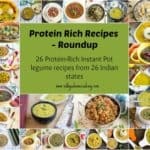 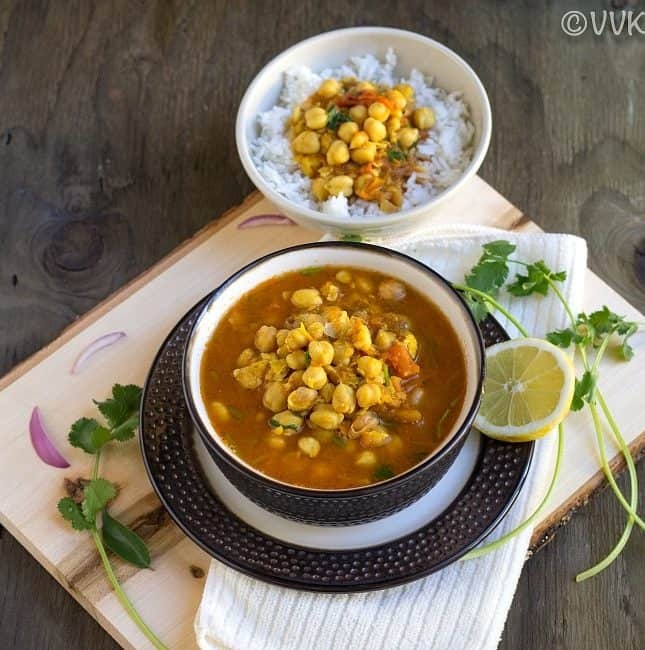 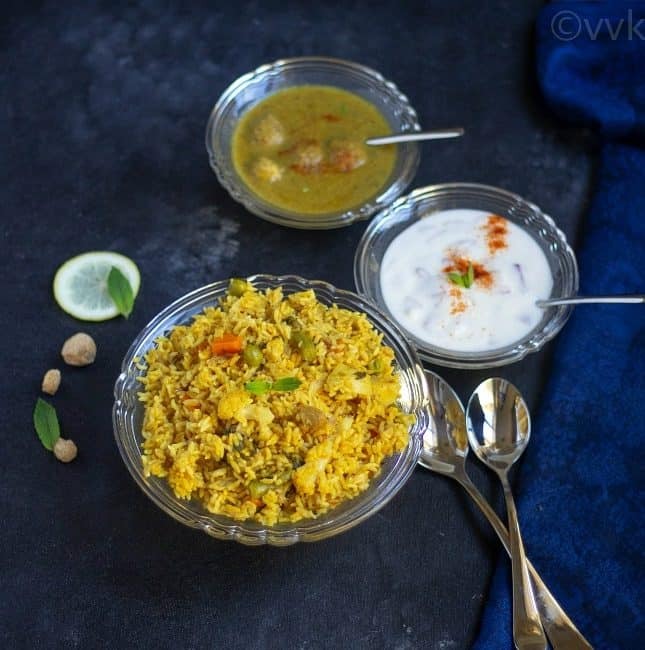 Here is the vegetarian version of the lip-smackingly delicious Ambur biryani made in Instant Pot with plant and dairy-based protein – white peas and paneer. 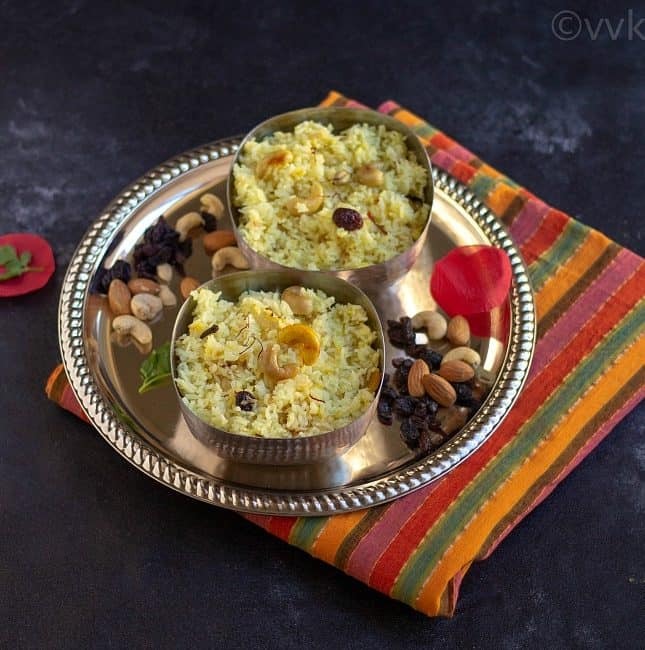 Check out the Instant Pot version of the Ambur Veg Biryani recipe with step-wise pictures. 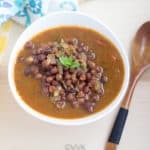 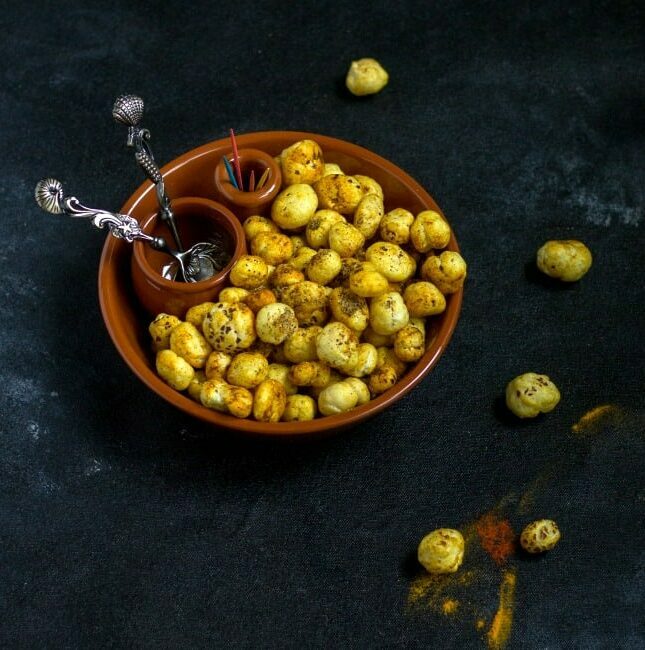 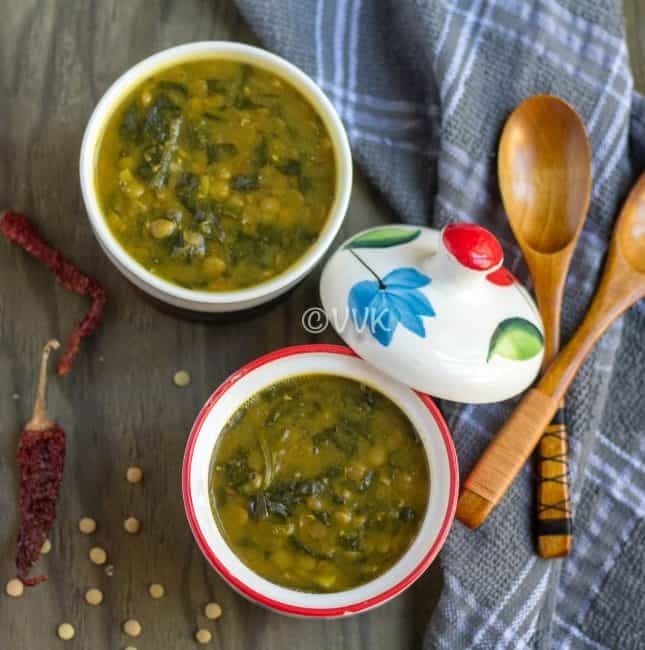 Roasted Phool Makhana is a spicy, tangy and a crunchy yet a light snack prepared with phool makhana aka fox nuts aka lotus seeds. 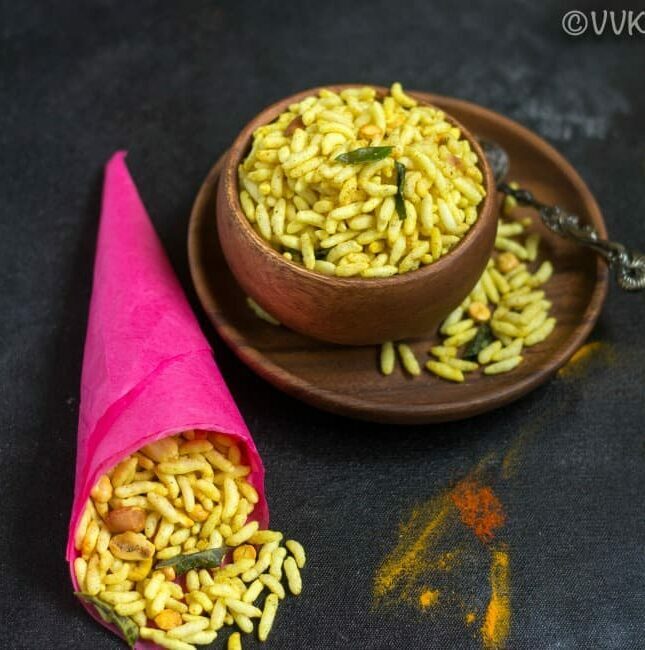 Learn how to make this delicious and a guilt-free snack with a detailed video.